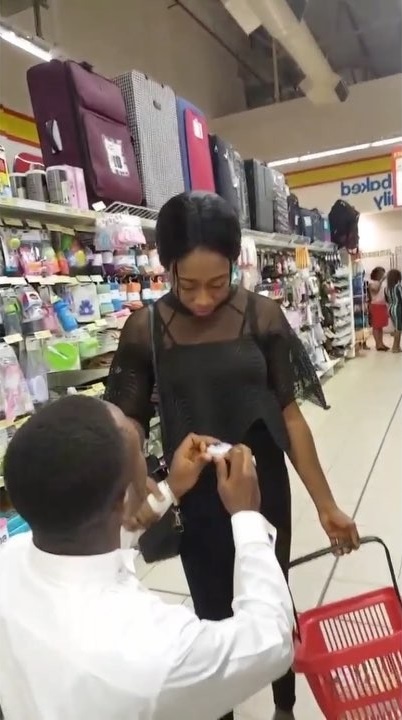 Oh dear, a lady has turned down a marriage proposal inside Onitsha shoprite Anambra, State. 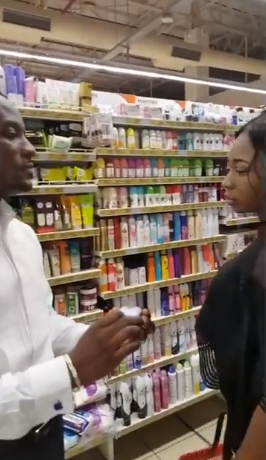 The two had gone shopping, and before they could go far into it, the guy went on one of his kneels and proposed to her. The lady, not wanting to embarrass him, quickly used her left hand to cover the ring while the man still held it. He persisted and wanted her to have the ring, and sisi just walked away very fast.